Amazon has the best in games and entertainment - Xbox, with $50.99 off. 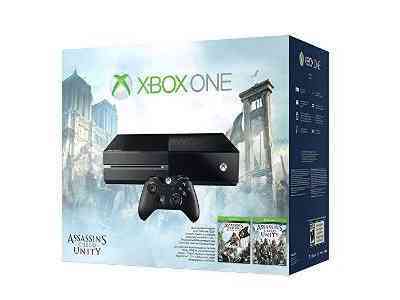 At only $349.00, you can bring this Xbox One Assassin's Creed Unity Bundle home. Gift-wrap is available for this item. Place your order now and enjoy 4% off plus free shipping.